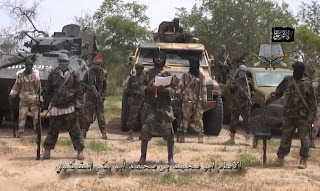 The Nigerian military has stated that their ongoing clearance and rescue operation in Sambisa forest codenamed Operation Crackdown has wreaked havoc within the remaining enclaves of Boko Haram terrorists, with their chief bomb maker and a high ranking terrorist confirmed to have been shot dead. The Director of Army Public (DAPR), Col. Sani Usman, said the chief bomb maker was killed by one of the body guard of the Boko Haram terrorists’ leader, Abubakar Shekau, as he was about to run away just like several others are doing because of the intensity of Operation Crackdown. Usman disclosed in a statement on Monday, saying that the killing of the terrorists’ bomb maker happened in the early hours of Monday. He said that the suspected chief bomb maker, apart from his high status in the command structure of the Boko Haram, was one of their capable hands involved in making Improvised Explosive Devices (IEDs), coming after their chief scientist called Abu RPG (who has been killed long ago). The spokesman also disclosed that “one Julelebeeb who was appointed to take over is now completely blind because his two eyes were shattered by shrapnel, in the process of preparing an IED to consolidate his appointment”. There is no doubt, Usman noted, that this development has dealt a devastating blow to the terrorists’ capacity on IED preparation, suicide bombing and their ability to sustain their criminal acts. He reassured members of the public that the troops are continuing with the clearance and rescue operations successfully in order to completely clear Boko Haram terrorists wherever they might be hiding.